A girls dance group from San Jose is stepping onto one of the biggest stages in dance and a chance at a million-dollar prize. A group of seven girls, ranging in age from 13 to 16 and calling themselves The Posse, will be competing against some of the top dancers from around the world in front of celebrity judges Jennifer Lopez, Derek Hough and Neyo on NBC's new "World of Dance." 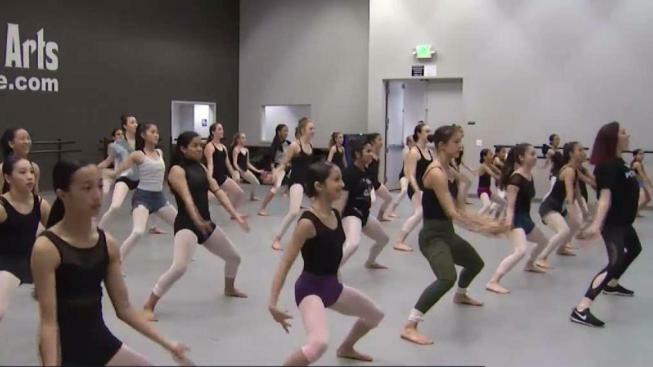 The group, which hails from NorCal Dance Arts in San Jose, got the call-back after two auditions. "When we first got (the call) saying 'You're on the show,' I was like, 'Are you sure?' I was so happy," dancer Kina Siu said. "I was making snow angels on the floor in my house." The girls said they were amazed by the competition on the show. "We shared the stage with so many phenomenal dancers," Jadyn Hernandez said. "We usually just see them on Instagram and YouTube, but actually seeing them in real life was just crazy." The Posse rehearses five hours a day, five days a week. But nothing could prepare them for the moment they walked on stage in front of the world. "It was exhilirating," Kina said. "My hands and feet were sweating. I was so nervous." Dancer Sydney Centeno added: "Going through my head was first of all, we had J-Lo watching us, so I was super excited." Tawnya Kuzia, the dance group's artistic instructor, was beaming. "I have to say I was very proud of them," she said. "They have made it very far for us. It was just insane." The girls said the experience of finishing that first performance was life-changing. "We just started crying because ... after all the hard work, we knew we did it," Kina said. "World of Dance" premiered Tuesday night on NBC.